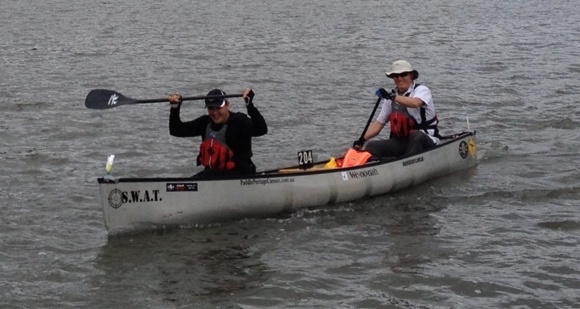 Another year, and another Hawkesbury Canoe Classic 111km night paddling ultra-marathon done. 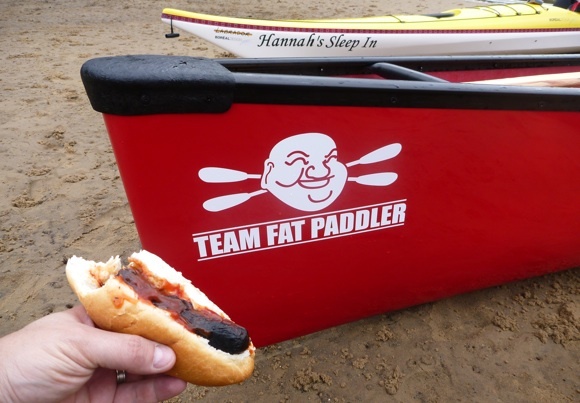 Only this year I wasn’t alone, with Team Fat Paddler swelling in size to 20 paddlers and 30 land crew, with the now huge group creating an atmosphere of fun, friendship and camaraderie. But the year was very different for me, at least from the point of view on being on the water. I’d made a switch from the open canoe to my trusty Stellar SR surfski, a boat I’ve paddling all year and love. 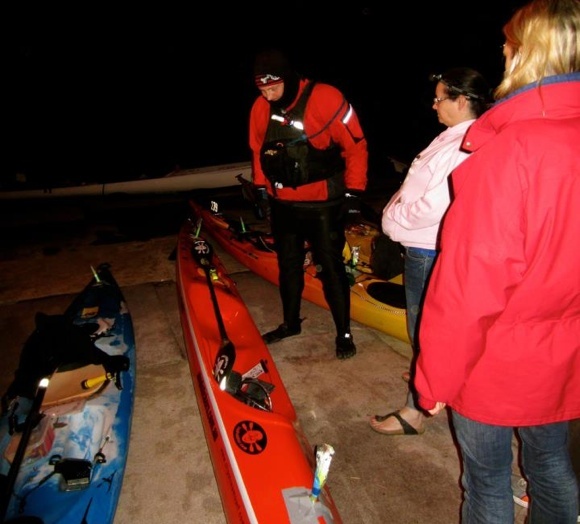 The change in boat also changed other dynamics which unfortunately I hadn’t really prepared for properly – I was wetter and colder for starters, and hadn’t taken enough changes of clothes to last the whole night. 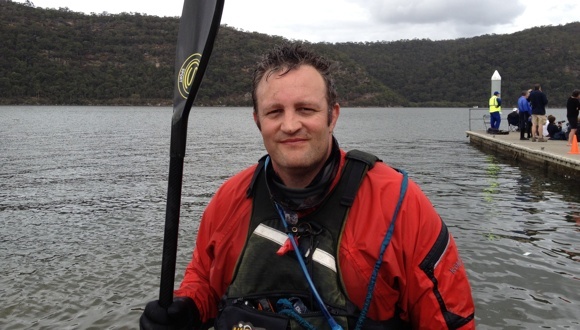 The end result was a long night paddling very cold, with officials twice suggesting I be pulled out the race due to the possibility of hypothermia setting in. You meet some funny characters at the Classic. Like these Spider-Devil girls! I’d also been working very hard in a new job, plus trying to pull together the logistics for the team, and as a result had had no-where near enough sleep in the lead up to the event. I’ve had problems before with falling asleep during the Classic and this year was no different… except I fell asleep far more often! First food stop at Sackville. Still feeling relatively warm and fresh at the 32km mark. By far the worst problem for me however was my hands. Initially it was bad blisters that caused a fair bit of pain, but after addressing those with gloves I started to suffer from constant cramps in the hands themselves – in fact each paddle stroke brought on a cramp and a fresh wave of pain and nausea. Multiple that by 12 hours and you get a long, dark, painful trip down the river. Of course, there was plenty going on with the rest of the team as well. Fellow team mate Nat, who has copped grief from all of us over the past 12 months for pulling out at the 85km mark last year, absolutely smashed his attempt with a blistering time and no problem getting to the end – apart from paddling himself up onto rocks at Bar Point in a daze before paddling the wrong way around the final island in the race. Our pommy mate Grumm managed to launch himself out of his boat when he caught a hidden mooring line with his rudder, unloading a string of expletives before he finally disappeared under the dark, ink-like water. We had a number of the ski contingent set blistering times at the front of the pack, whilst the kayak crew slowly ground out a long but definitive finish at the back of the pack. 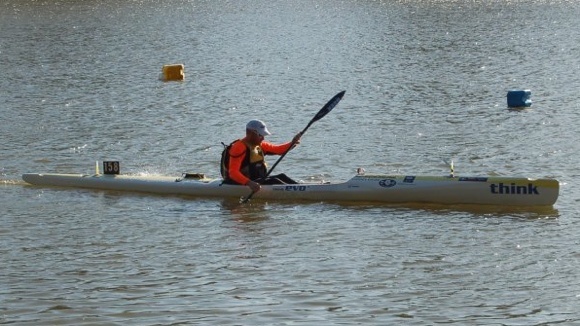 Nat looked great on his Evo surfski, and grabbed a brilliantly fast finish to silence his critics! 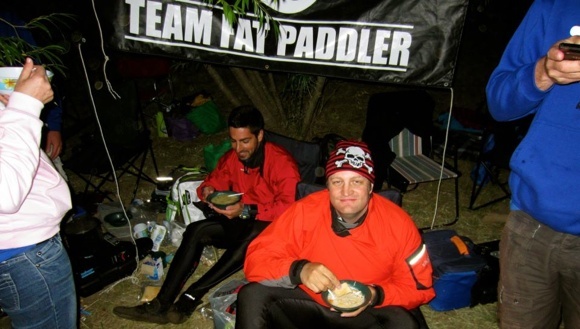 FP at the finish line – half a day of agonising hell…. but was always going to finish! I remain in awe of you all! Great video FP. Nice to see Sackville in daylight!! That’s a first for me too. 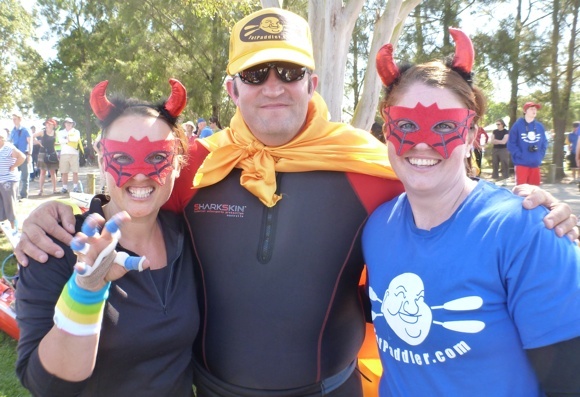 Big effort and congratulations to the team for raising over 25k – awesome stuff. Great article. For those wondering what it was like in the canoe, I found it awesome! The canoe was such a different experience to the kayak. Into the wind and tide it was a little slow ( our technique was poor) but downwind and down tide we hooted.. I have now completed it in a kayak and canoe. Thinking about a boogie board and flippers next year..
PS Sean thanks for a lend of the canoe!! Travis thanks for kooking us up with awesome paddles! Great Report Sean, was great to be part of this great Team. Even Rachelle, wife & landcrew had a ball staying up all night. I got to my goal of getting to Brooklyn whilst it was still dark and the time was great. 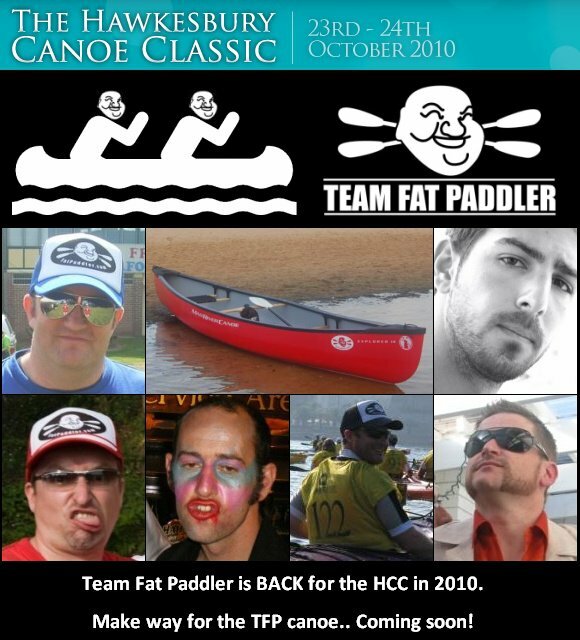 Will I paddle with Team Fat paddler again? For Sure without question. Being part of such a great team made my night! 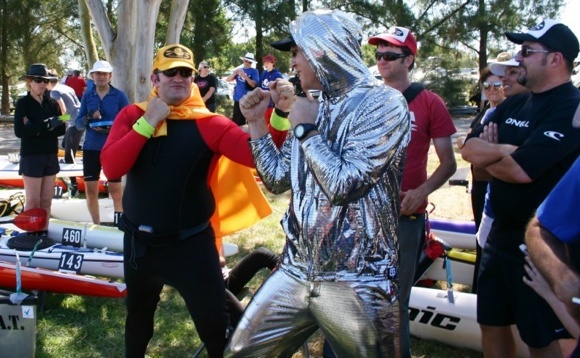 Mate well done on chalking up one more Hawkesbury 111km race. Keep on trucking ! Great effort! If you can make it back to the U.S., consider entering the MR340. I’m sure we can figure a way to get you a boat and all the other gear you’d need. Just bring your fat self along and enjoy 4 days on the Missouri River!